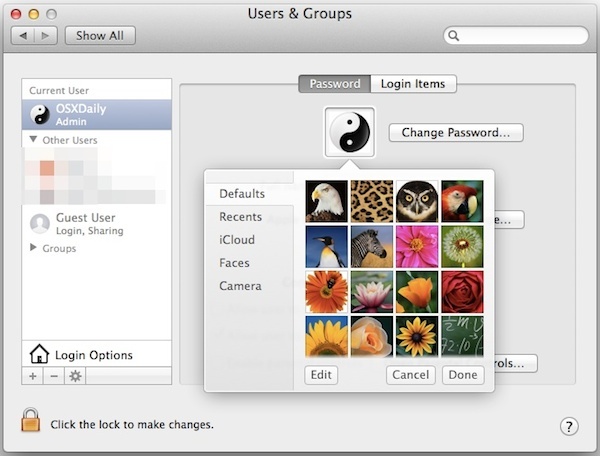 The first time you set up a Mac or new user account, you’re asked to pick a profile picture for that account. 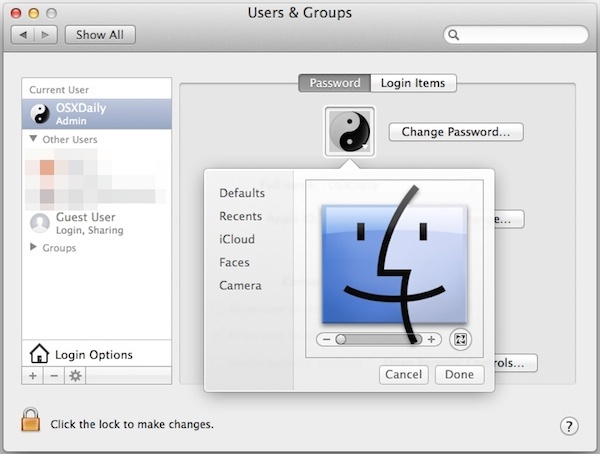 Most of us set this image once and don’t think much about it, but that profile picture follows us around in OS X and is visible at each boot login menu, in the Fast User Switching menu, visible to other users with AirDrop, and plenty of other places in Mac OS X. 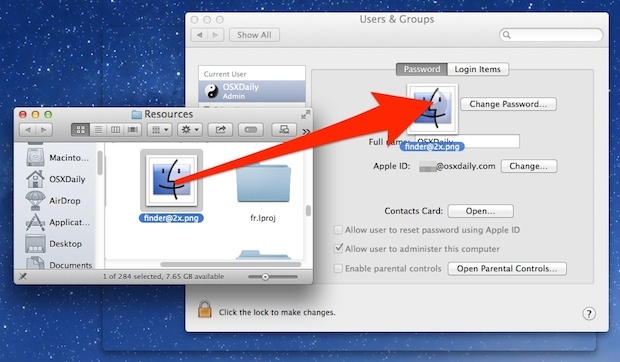 If you decide you want to change that user profile picture, perhaps to a more generic image, a mugshot, or a custom photo, you can do so at any time, and for any user account on the Mac. We’ll show you two ways to do this. You can use the little slider tool to both crop or zoom in and out on the picture, choosing “Done” sets the changed image as the profile picture for that Mac user. 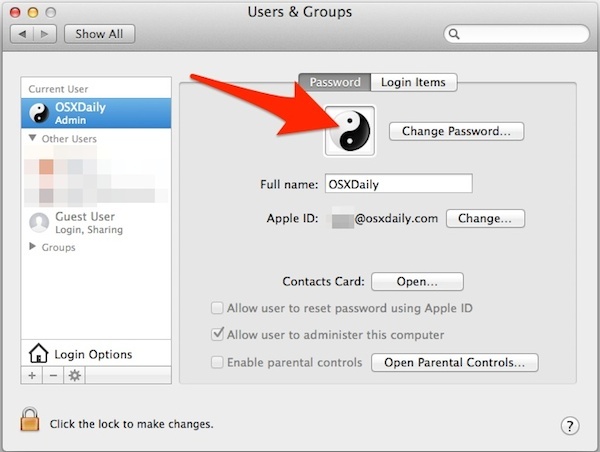 Close out of System Preferences and go about your business, that’s all there is to it. Remember that the profile picture is broadcasted to the world on AirDrop, so for users in public environments, you may want to aim for a boring and professional image. This can also be a good trick to make a customized guest user account much more obvious, since by default the guest user it’s just a blank face image. My question is; I do I delete all the photos found in “recents” ? My question is; How do I delete all the photos found in “recents” ? Thanks for the post though. Easy enough to change the profile picture, just not convenient. How can we delete any of the photos that are in the recents?? Click on photo to highlight it, delete key on keyboard to delete it. Omits to say how to delete a picture all together, which is critical in business. Why can’t it make it more user-friendly saying browse and use the image. that did not help me. I cant change the image on Icloud either. I used to have some pics added in the user pic files but they wont let you do that now. any help.